Pentafloor’s® brands have been serving the networking environment jointly for more than 60 years. 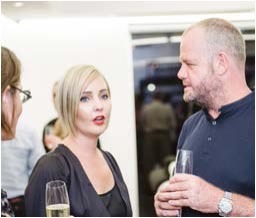 Over this time, our industry experts have been innovating, developing and designing systems in close collaboration with end-users, to meet the high expectations and requirements of clients and professionals alike in an ever-evolving data and networking environment. Pentafloor® was started in 2005 by Larry and Bianca Shakinovsky. Our main aim is to supply affordable, high quality, flexible access flooring solutions, together with superior quality floor finishes, to a wide range of projects of all sizes in the commercial, hospitality and residential sectors. Since 2005, this venture has grown exponentially and, in 2012, we acquired the business of Solidfeel Access Flooring, previously Donn Access Flooring. We also acquired the raised access floor division of LaFarge (South Africa) in 2013. Since then, our three prominent brands have joined forces and have the advantage of sharing 60 years of technical expertise and track record without compromising each brand’s individual heritage. Today, Pentafloor manufactures, supplies and installs the three most prominent and recognized brands of access flooring in South Africa – the Solidfeel SF-RANGE®, the LF-RANGE®, and the FS-RANGE®. Strategic placement of our manufacturing division on the African continent, together with our strategic alliances, guarantee that we can deliver cost-effective, superior solutions with quality products that instil confidence in our clients, from South Africa to Dubai. The quality of our products is the foundation for our guarantee and this is what instils confidence in our customers. Our products undergo a stringent quality control process that includes testing with advanced analytical equipment in a dedicated testing centre. This guarantees that our products comply with or exceed industry standards with a 100% pass rate. All products are manufactured in an ISO 9001 accredited facility, which enables us to identify, measure, control and improve the core business processes that ultimately lead to our improved business performance. Pentafloor®offers an ever-increasing range of colours, textures and design possibilities in keeping with new innovations in the manufacturing process, and new space planning trends. 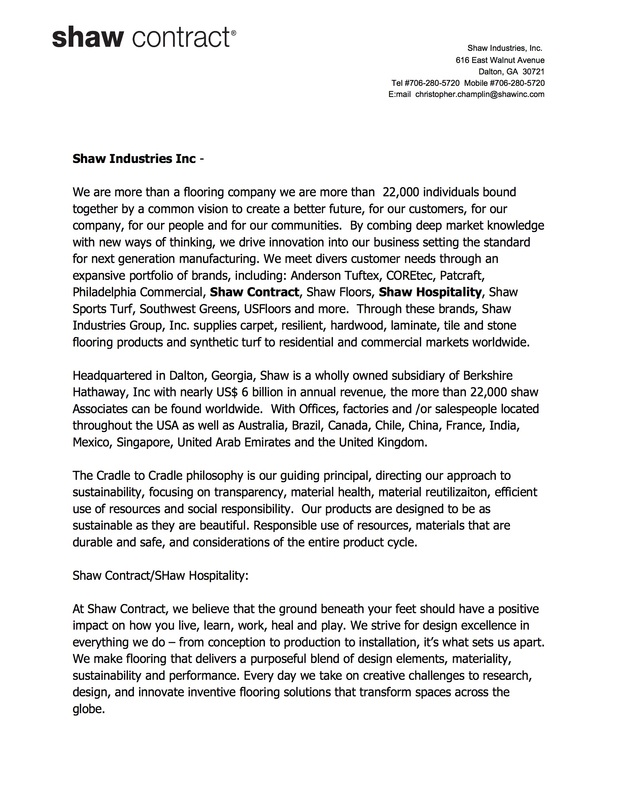 Pentafloor®is the exclusive distributor of Shaw Contract products in South Africa. Pentafloor’s roadmap starts with our mission, which is enduring. It declares our purpose as a company and serves as the standard against which we weigh our actions and decisions. We are committed to developing and providing innovative flooring solutions; inspiring creativity in the 5th wall of every room; and creating value in the areas where our products are used. Our vision serves as the guide for every aspect of our business by describing what we need to accomplish in order to continue achieving sustainable, quality growth. People: Be a great place to work and inspire our people to become the best they can be. Portfolio: To offer the most innovative flooring solutions to support today’s business environment. Partners: Create and sustain a network of customers and suppliers to ensure interactive system to create mutually beneficial relationships. Planet: Be a responsible part of society by ensuring that our impact on the environment is ensuring sustainable communities. Profit: Maximize long-term return to all shareholders, while staying mindful of our overall responsibilities. Productivity: Be a highly effective, lean, dynamic and fast-moving organization. For more information on all our flooring products and services, reach out to us on +27 11 440 6759 or email info@pentafloor.co.za.